Last week, the fabulous Emma Burcart gave me the Liebster Blog Award. Thanks Emma! Since I was out of town, I couldn’t really focus on doing this right, so I’m doing it now. Receiving this award is great, since I’m totally new at blogging. And it comes with rules! I like rules; they give me guidance. 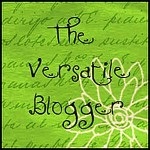 Because of the rules of being a Liebster, I get to highlight 5 more great bloggers. Copy and paste the award into your blog. Talk about the 5 blogs you love and why and comment on their blogs letting them know you’ve given them the Liebster Award. Shannon Esposito — No, I didn’t choose her because we share the same name (she spells hers wrong anyway). Her blog is fun and she does posts Dear Abbey style… and Abbey’s her dog! Merry Farmer – Merry writes about history and romance and writing historical romance. I’m not even her target audience since I don’t read much historical anything, but she makes history fun. Jillian Dodd — Lover of romance and glitter and chaos, Jillian’s blog is always a must-see for great pics of half-naked men (at least on Mondays… I mean, MANdays). She also talks about writing and stuff, but really, how can you go wrong with hot men? Posted in Uncategorized and tagged books, Elena Aitken, Emma Burcart, Friday favorites, Jillian Dodd, Liebster Blog Award, Merry Farmer, romance, Shannon Esposito, Shannyn Schroeder, Tiffany White, writing, writing advice. Bookmark the permalink.